Thank you so much to all of you who took the time to fill in our survey! Over the next couple of months, I will be responding to your comments, letting you know what we are implementing and why some things simply have to stay the same. Several of you mentioned that the ebook collection was not very robust and we agree. The reason for that is that libraries don’t ‘purchase’ ebooks, as we do print books. Publishers require libraries to purchase a ‘license’ for each title, and the use of that license depends on its price. If we can keep the license forever, the book will cost the library anywhere from $40 to $80, depending on the publisher. If we can only keep the title for a year or two, we pay a more normal price for the book ($6- $25). So price alone prohibits us from having a big collection. Another aggravation for you is that for the Axis 360 and RBDigital apps, there is only one use per title, meaning only one of you at any one time can have the book checked out. It does seem ridiculous, when all books start their life now in digital format, so why can’t all of you have the book at the same time? Again, a price problem. However, my inner thought (which I hope is totally silly) is that the publishers are afraid all you readers are tech wizards who can copy the book and send it for free to everyone you know! Axis360 and RBDigital generally have the newer titles because of the fact that we purchase the license. Our hoopla app is a totally different business model and DOES allow for multiple use of each title, but you will only rarely find a newer title there. 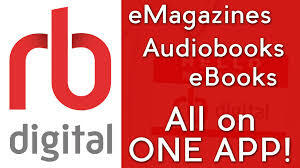 We choose the books you see on Axis 360 and RBDigital, but the hoopla choices are a subscription to a collection that they choose. Because it is a different business model, every time you download an item on hoopla, we pay a fee. We have a budget for that, of course, and that means only a certain number of items can be downloaded each day, because the budget is spread over a month. That is why, especially late in the day, you will receive a message that you can’t check out and to try again in the morning – we will have used up the allotment for that day, but it starts fresh at midnight. It would be lovely if using the library ebooks was as easy as buying from Amazon, but, at least so far, the providers and publishers require much more verification, mostly to protect your privacy. Hoopla makes it very simple and both Axis 360 and RBDigital have improved their usability over the years, but I can guarantee that it will never be as simple as buying from Amazon. Partly because of the privacy issue, but also those companies don’t have millions of dollars and huge teams of IT people working all the time on making their websites/apps easy to use. Why don’t we use Overdrive? 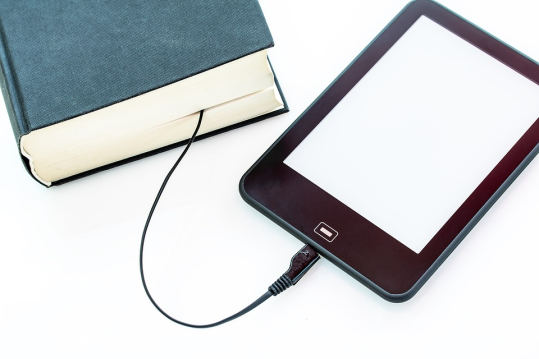 Our biggest drawback is that regular kindles can’t access our ebooks, which Overdrive does allow. We chose not to use Overdrive, partly because back in 2011 when we first investigated offering ebooks, I canvassed libraries using Overdrive and every one of them said it was very difficult for patrons to use. However, our main objection to Overdrive now is that it shares your information with Amazon. We, in the library world, are very concerned with your privacy – to the extent that we annoy you, sometimes. We cannot tell you what you have read in the past because we don’t want that information to be obtainable by anyone, for your own protection. You trust us because we protect you. One last note on ebooks – they are completely separate from the account you have with the library to check out physical items. Staff has no access to your ebook accounts, so all we can do is help you set up the accounts with the three apps and show you how it works. If you have issues with your account, each app has a help function that they prefer you to use when there is a problem. I must tell you how thrilled I was to read your many, many positive comments on our staff and customer service. There is always room for improvement, but I cannot tell you how proud every staff member was to see those comments! Help choose America’s favorite book (100 books, 1 winner). The New Milford Public Library and CPTV are proud to present: “The Great American Read” sponsored by PBS and ALA. What’s your favorite book of all time? Starting in May you can vote for yours-right here at NMPL! Come to the library to watch THE GREAT AMERICAN READ premiere on May 22, 2018 at 6:30 PM! This launch special kicks off a summer of reading and voting. Then in the fall, seven new episodes of the series will air as the quest to find America’s most beloved book moves into high gear. Episodes from the series will feature appearances by celebrities, athletes, experts, authors, and everyday Americans advocating for their favorite book.” For more information, see: http://www.pbs.org/the-great-american-read/home/ Plus, stay tuned for more “Great American Read” events at NMPL this summer and fall! RBdigital – Updated and Easy! We are pleased to announce that the final migration of the RBdigital app (and desktop mode) now includes audiobooks, ebooks and emagazines! For many months we have been offering many iterations of this resource. No longer will you have to have multiple profiles or registrations. With a single app, you will be able to borrow all these products! So please check out the new access and listen and read to your heart’s content! Our Digital Literacy Associate is on temporary leave. Due to budgetary constraints, our technology classes will be suspended during this time. We still have technical help available with our volunteers and our reference staff, so please come on in with your questions. Meet One of Our Prized Patrons: Francesca Morrissey! Francesca Morrissey is a very familiar face around the library-she and her family have been coming to NMPL for over 20 years and, as homeschoolers, have relied heavily on all of its resources. Francesca was born in Manhattan and raised in Stamford, CT. Her mother was the Editor-in-Chief of Modern Bride for 48 years before her death in 2002 and her 90-year-old father, a retired accountant from whom Francesca inherited her love of literature, now resides with his wife in Norwalk. 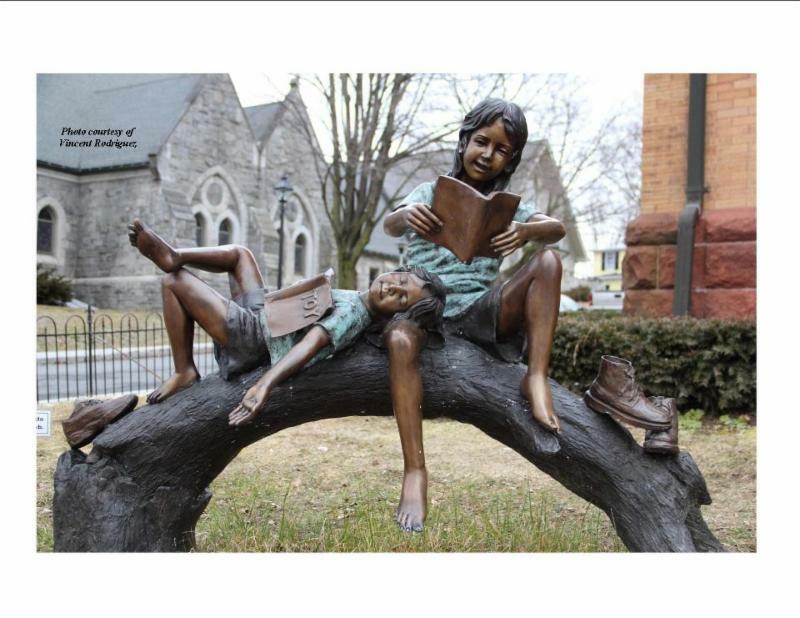 Francesca earned her BA in English and minored in Civil War History at Loyola University Maryland, then attended Iona College for her MA in English Literature. She worked at several magazines in Manhattan before being employed for eight years at a software company where she met her husband Michael. Today, the couple lives in New Milford and Michael works in the IT department at Albertus Magnus College. Over the years, Francesca has pursued many different career paths-you may have run into her managing the Homestead Inn or teaching Pilates at PhysEd! But her kids are her pride and joy and she has been fortunate enough to homeschool them for the past two decades. As an original member of the Western CT Homeschool Cooperative which started in Washington Depot in the early 2000s, she began creating curriculum and teaching other homeschoolers of all ages alongside her own children. Her eldest, Michaela, 21, graduates from St. Lawrence University this year with a History degree and a minor in Art History. She’s attending Johns Hopkins University for her Masters in Museum Studies, while working as a brick maker in Colonial Williamsburg! Twenty-year-old Isabelle is a sophomore at Purdue and progressing toward a degree in Civil Engineering. A member of the Naval ROTC, she will be on active duty on a submarine this summer. Stephen, 18, attends RIT, majoring in Computer Engineering. Penny is 10 and will be starting at Washington Montessori this fall as a fifth grader. 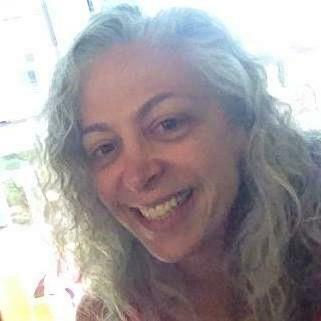 From all these experiences, homeschooling her kids and then helping them navigate the college process and also teaching Humanities courses, Francesca has become a pro at advising and teaching kids. So in 2012, she started a college counseling business, which has grown to include tutoring as well. Her business is now called Access Success, and her office is located at 6 East Street, Unit B. Her college counseling expertise includes everything from helping with financial aid to editing college essays to providing SAT prep to touring colleges and meeting with Admissions Directors. Be sure to check out her website at http://www.accessuccess.com for a listing of the services offered. Francesca shares her office with the owner of Art Experience, Julie Czerenda, with whom she often collaborates on course offerings. This summer, the two are teaching a course for ages 13 and up called, “The Monster Within,” which combines art and literature to examine the theme of self-reflection. They’ll be studying Stevenson’s Strange Case of Dr. Jekyll and Mr. Hyde, a graphic novel about Edgar Allan Poe, and other short stories and poems-details are on her website. Besides reading-her favorite author is Jane Austen and her favorite book is Pride and Prejudice-Francesca watches a lot of TV, including all of the Marvel shows on The CW. Her favorite quote is by Ralph Waldo Emerson: “The purpose of life is not to be happy. It is to be useful, to be honorable, to be compassionate, to have it make some difference that you have lived and lived well.” I’m sure many young New Milford residents have appreciated Francesca’s assistance with finding their purpose in life. And we at the library want to thank Francesca and her wonderful family for visiting NMPL and attending its programs so much over the past 20 years!